View our extensive list of flooring promotions. We havedeals for every type of flooring. We have over 5,000 happy customers using our floors in their homes and businesses. At Floor Monster, we're wild about wood. We eat, sleep and breathe it. We don’t just supply it. We source it, create it, perfect it, design new textures and finishes and introduce cutting edge treatments. We're instrumental in every single part of the process, bringing you the biggest selection – over 350 different styles – of the highest quality wood flooring at the best possible prices. Talk to us about your requirements, bulk orders, niche products or if you simply have a question, we are here to help you make the right choice . Home is where the heart is, and at the heart of every home is your floor. It's for living and loving, playing and displaying, dancing and dining; everything in your home centres around your floor! Whether you want a floor that’s ultra hard-wearing for frantic family life, something stunningly and naturally beautiful to help set the mood in your home or you want to create a bespoke backdrop to compliment your individual taste, we’ve got just the floor for you. Laminate Wood Flooring is the daddy of practicality. Despite being lighter than solid wood flooring, it is more dense meaning it doesn’t dent easily – so you can happily welcome guests into your home who wear stiletto heels! 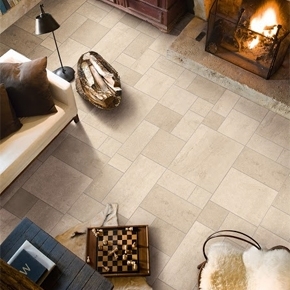 Plus, it’s the perfect flooring choice for high traffic areas and homes with children or pets. Durable and hard-wearing, laminate floors have come a long way since back in the day – so much so that it can be hard to tell a laminate from a real wood floor! 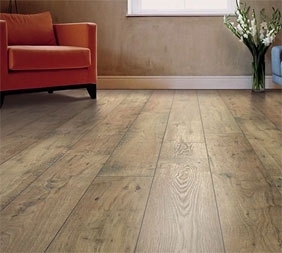 We have an extensive range of excellent value, stunningly beautiful laminate wood flooring. As a completely natural wood floor, you will appreciate the variance in tones, colours and the changes that will occur over time. 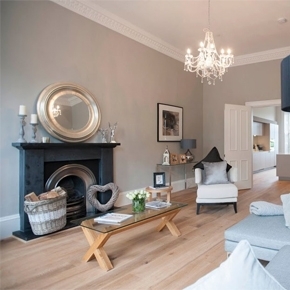 A solid wood floor is a lifelong purchase, a statement investment piece and it comes in a range of finishes: matt, satin, gloss, stained, brushed, lacquered and oiled! Stability and functionality are the big advantages of choosing engineered wooden flooring. A stable wood ply back with a hard wearing real wood veneer on top- often the same thickness as a solid wood floor wear layer. Your floor will be less prone to movement once down and it’s the perfect choice for conservatories or sunrooms, or if you’re considering under-floor heating. For those with an eye for something different we offer classic Herringbone/Parquet and Chevron engineered wood floor planks. Floor Monster offers one of the UK’s largest selections of engineered floors so don’t buy an Engineered wood floor until you’ve talked to us! 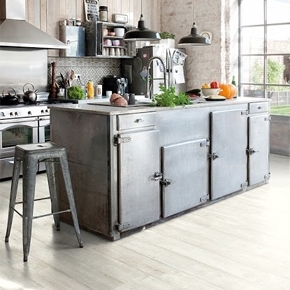 Realistic, robust and really easy to maintain, our range of Tile Effect Laminate Floors are designed to give you the look of real tiles without the high cost or the hassle. 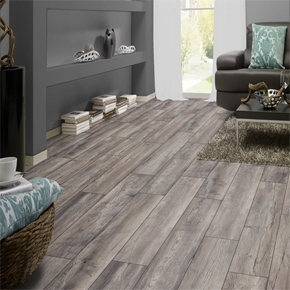 OK so most of us think 1970s when we think vinyl flooring. But now, we think it’s time for a rethink. With brand leading Balento Engineered Vinyl Plank, Quickstep Livyn or BerryAlloc DreamClick LVT– you can bring beauty, durability and flexibility to your vinyl floor space at a fraction of the cost and in a fraction of the time! You can even go right ahead and click them into place over your existing floor, there’s no subfloor prep needed!